Whether you plan to hire an attorney or handle your divorce by yourself, familiarizing yourself with the legal process will help your case run more smoothly. However, before you consider filing, make sure that you meet the residency requirement which is six months before the date of filing. Kentucky is a no-fault divorce state. Under Kentucky law, you don't get into all the reasons why the marriage failed. Instead, you simply state that the marriage is "irretrievably broken." To begin your divorce, you must file the correct forms and follow the proper procedure. The process is the same whether you're representing yourself or decide to hire a lawyer. Although anyone can fill out the required forms, an attorney can tailor them to meet your specific needs. He can also answer your questions about the legal process and recommend settlement options. Begin your divorce case in Kentucky by filing a Petition for Dissolution of Marriage, Divorce Agreement, Case Data Information sheet, and summons. This gets filed with the Circuit Court Clerk Family Division. Like many other states, Kentucky also requires both spouses to inform each other of all assets and debts when minor children are involved. To do this, each party must fill out a disclosure form. If both spouses consent to the divorce from the very beginning, they often file their financial disclosures concurrent with the petition for dissolution. After you file your case, you must "serve" it on your spouse by delivering a copy of all the divorce documents to the other side so he is aware the case has been filed. In Kentucky, you can serve your spouse by certified mail, sheriff's service, or by special affidavit if your spouse has left the state to avoid the divorce process. Additionally, your spouse can waive the service requirement. Waiver is common in uncontested divorces where both sides agree on all issues. The final step in the Kentucky divorce process in submitting the Findings of Fact and Decree of Dissolution to the court. Once the court approves your form, it will issue your divorce. If you and your spouse agree in writing to all issues, Kentucky law allows you to mail the form to the court. Kentucky divorce courts address child custody and support issues by relying on state guidelines that specify how much parents should pay and what types of parenting arrangements will work in a child's best interests. Kentucky courts rely on the state's guidelines to calculate child support obligations. When you're ready to begin, assemble all the necessary paperwork and file in your county. 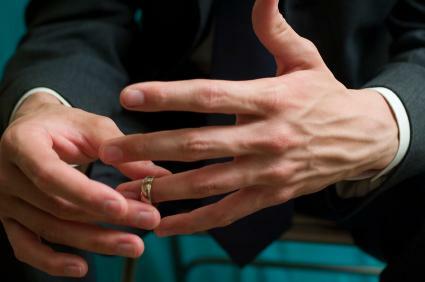 If your spouse is willing to talk, you can start discussing settlement strategies right away. Keep in mind that when you and your spouse can agree on all the terms of the divorce, things will go more quickly. However, if you and your spouse don't agree, or if your divorce is complicated with a lot of assets or minor children, it might be best to consult an attorney.